Pam created the vision for the Student Task Force and organized its co-founders in 1999. Early in her career during the Vietnam War, she traveled to Thailand to research the extent of the communist insurgency in northern border areas; she also was a freelance journalist and wrote about Eastern Europe, the Munich Olympics in 1972, holocaust survivors and other subjects. Pam became a public education reform activist and teacher (third grade through high school) before joining the Milken Family Foundation as a Public Affairs Specialist, working to promote excellence in teaching in the U.S.
From 1996-2002 Pam served as Director of Human Rights Watch in Southern California. 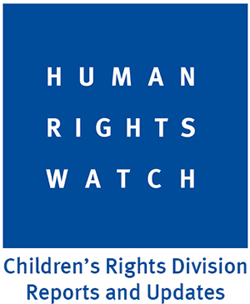 She broadened support for HRW in Los Angeles by establishing the Young Advocates, Women’s Rights Committee, HRW University Project and the Student Task Force. As adjunct professor teaching human rights at Mount St. Mary’s College, she founded the Human Rights Film Festival in 2003. Volunteering to direct STF and developing human rights education as part of STF has been Pam’s primary focus since 2005. 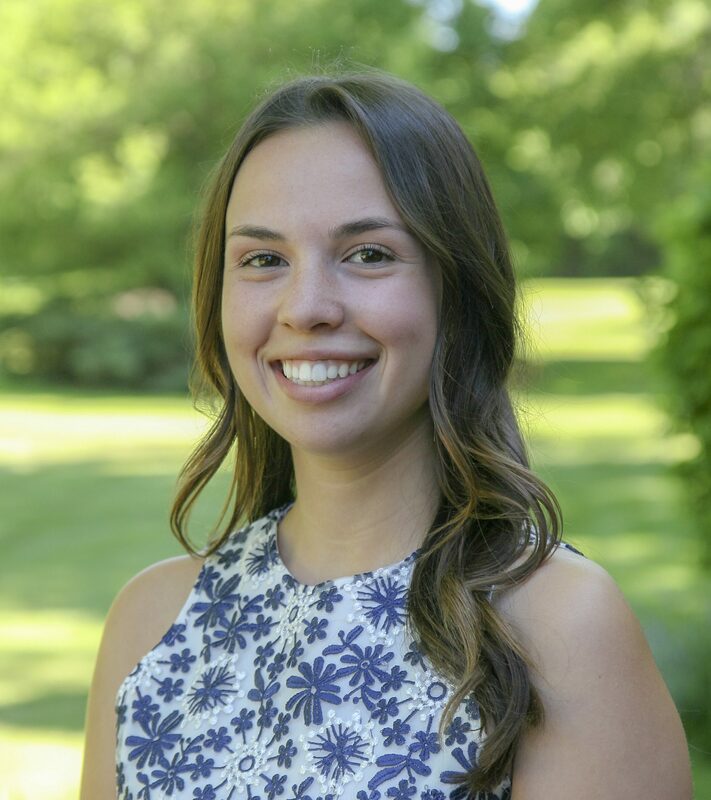 Kristin is a graduate from Syracuse University’s Public Diplomacy program and University of California, San Diego’s International Studies department. Her background is in international relations, conflict resolution and public relations. She has worked for Amnesty International as the Mid-Atlantic Regional Office Administrator in Washington, DC, interned with the United Nations in Geneva, Switzerland and taught English in Cambodia and Los Angeles. Kristin loves to travel and has spent a lot of time focusing on human rights while abroad. She has dedicated her academic and professional careers to human rights and enjoys working with the STF community. Nancy is a co-founder of STF and has been an essential member of the STF leadership team since 1999. 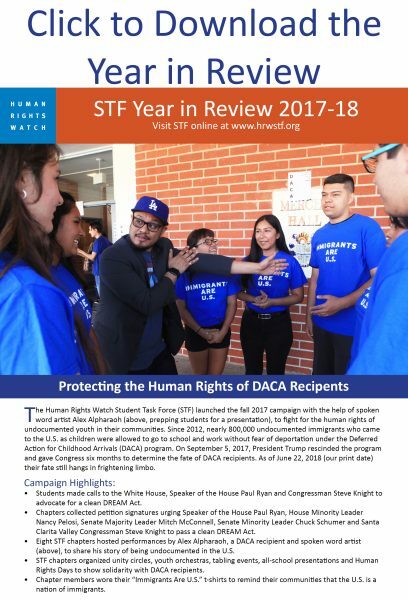 She currently volunteers as the STF Program Advisor in the Santa Clarita Valley mentoring several STF high school chapters and coordinating STF activities with the William S. Hart District School District administrators. Nancy established a partnership between STF SCV and the public libraries of the City of Santa Clarita. Additionally, Nancy is Director of Religious Education at St. Clare of Assisi Church where she integrates human rights education into the curriculum and service-learning projects for students in grades K-8th. She is facilitator for the national Virtus-Safe Guard the Children Program training teachers, parents and volunteers about the risk of child abuse and how a community can take preventative measures to protect children from abuse. Previously Nancy served as Dean of Students at Immaculate Heart High School and taught AP Government, AP U.S. History and Economics and developed curriculum for a senior year elective, International Relations, which she taught for seven years. She was also a Curriculum Developer and Trainer for the online education program, One Global Tribe, focusing on service-learning projects with an emphasis on human rights issues. Nancy holds a M.A. in Conflict Resolution. 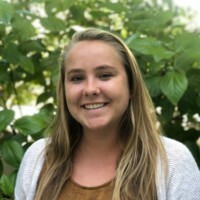 Hannah is a third-year student at the University of Southern California, double majoring in Global Health and Religion with a minor in Health Policy. Her interest in human rights began at a young age, when she began volunteering for a variety of organizations supporting children’s rights locally and abroad. Hannah is particularly interested in improving access to healthcare and education. At USC, she is very active in Camp Kesem, an organization that hosts a week-long summer camp and provides year-round support for children affected by a parent’s cancer. She also volunteers with Peer Health Exchange, teaching health education at an underserved school in Los Angeles. When she is not in class or working, she enjoys spending time with friends and exploring Los Angeles. Hannah is incredibly excited to work with the STF team! 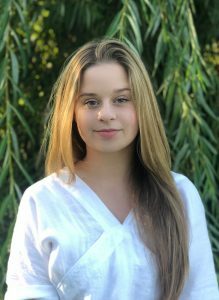 Kleya is a second-year student at California Lutheran University double majoring in Political Science and Sociology with minors in Gender and Women’s Studies and Philosophy. 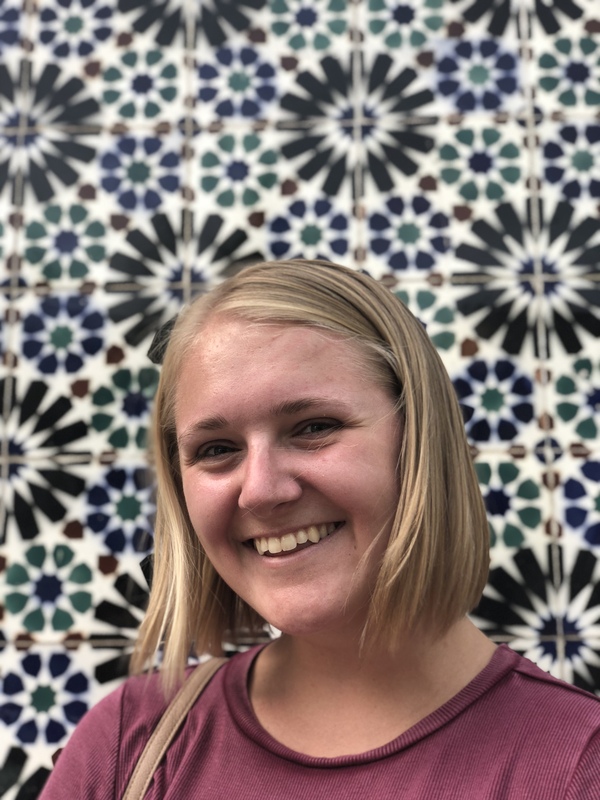 At Cal Lutheran, Kleya is involved with student government and holds leadership positions in several clubs including the American Association of University Women and the Political Science Society. Her primary interests are in the areas of genocide and sexual warfare, but Kleya is deeply interested in all human rights issues and how they interact with each other. 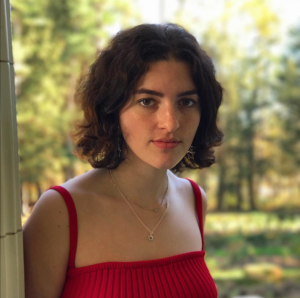 Kleya entered into organizing and advocacy work during high school with Rogue Climate Action, a climate justice non-profit based in her hometown of Ashland, OR, where she worked to stop the proposed Jordan Cove Liquid Natural Gas Pipeline. Most recently, Kleya has worked with Congresswoman Katie Hill in CA-25 as a staff member on her 2018 campaign and NARAL Pro-Choice America as an organizing fellow. She is looking forward to working with youth to take concrete steps towards human rights this Spring! Bayley is a senior at UCLA, majoring in Global Studies with a minor in Geography. At UCLA, Bayley works on the committee of a one-on-one mentorship program, pairing high school students from the LA community with UCLA students to encourage the pursuit of careers and higher education. As a Global Studies major, human rights on a global scale have always been relevant to Bayley’s coursework. However, her interest in human rights was sparked this fall after taking a research seminar on ongoing and past refugee crises. Her primary human rights interests concern genocide and education. She is excited to work with the Student Task Force this semester to further the human rights education of the communities where STF operates! Gillian is a rising senior at the College of Charleston in South Carolina. She is pursuing a degree in International Studies. She studied abroad in London and Barcelona. She previously interned at the US House of Representatives in Washington DC and PS Arts in Los Angeles. Gillian most recently worked in Ghana where she designed and built a fish farm in an underdeveloped village in order to increase protein intake for malnourished children as well as provide a source of income via selling grown fish. Gillian looks forward to her summer internship with STF and spending a summer with her family in her home town! Ricardo Piña is a senior at Arizona State University attending via online and currently resides in Los Angeles California. He is majoring in Public Service and Public Policy with a concentration in Emergency Management and Homeland Security. His fascination for human rights began when he enrolled in a course that highlighted racial injustices on a global scale. His major concern is finding a relationship between human rights and how rule of law and international security threats affect those rights. Ricardo is currently involved with Los Angeles’ LGBT Resource Center as part of the Leadership Council for Resistance Squad that works as a rapid response policy team advocating for policies that positively affect marginalized groups. Actions against any issues that pertain to human rights violations have to be challenged. His career aspirations are to become a human rights lawyer to represent individuals and communities domestically and abroad from oppressive regimes and governmental abuse. Ricardo is most excited about taking concrete steps with the Student Task Force to not only fight for human rights but to instill a sense of social responsibility in future generations. Krystsina is a senior at the University of California, Los Angeles majoring in English and minoring in Civic Engagement. She has previously directed her passion for children’s and human rights by working with organizations such as Jumpstart, 826LA, JusticeCorps, and the Coalition for Humane Immigrant Rights of Los Angeles (CHIRLA). At UCLA, she serves as the Chair of the UCLA Fund Student Giving Committee, a student organization dedicated to fundraising for areas on campus in need of financial support and is currently participating in the UCLA Astin Scholar program, through which she works with UCLA faculty in order to research how a community non-profit organization—the Mar Vista Family Center, can implement systemic changes to their programs so as to become more beneficial for the communities they serve. After graduating UCLA, Krystsina plans to attend law school and then work abroad within the field of international law. She is very grateful and excited for the opportunity to work with the STF staff this year! Natalie is a rising junior at Skidmore College in Saratoga Springs, New York, and is an English Major and American Studies Minor. Last summer, she interned with the National Council of Jewish Women in Los Angeles and worked on outreach and fundraising for the “Back 2 School” project, which provides new school supplies and new clothing for children in the Los Angeles area. She is particularly interested in criminal justice reform, racial justice, and immigration policy reform. Natalie hopes to enter the non-profit world once she graduates, and is beyond excited to have the opportunity to work with STF this summer. 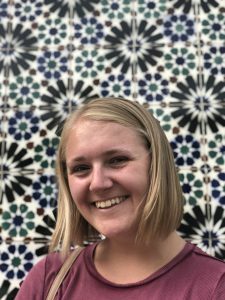 Kate is a junior at the University of Southern California majoring in International Relations with a minor in Public Health. She spent the past summer in Brussels, Belgium interning at a think-tank dedicated towards researching EU migration policy. She is particularly interested in both international development and international security. At USC, she is a tutor for the American Language Institute and is a mentor for students at a local middle school. Additionally, she loves to travel and hopes to work abroad once she is finished at USC. Kate is very grateful and excited for the opportunity to work with STF this fall!